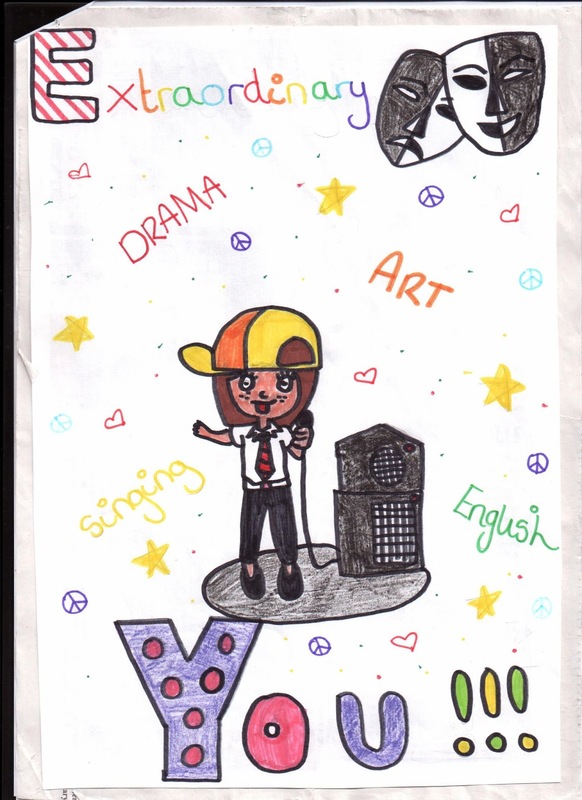 Year 7 students have recently taken part in ‘Feeling Good Week’, an initiative run by Surrey CAMHS to promote emotional health and wellbeing. 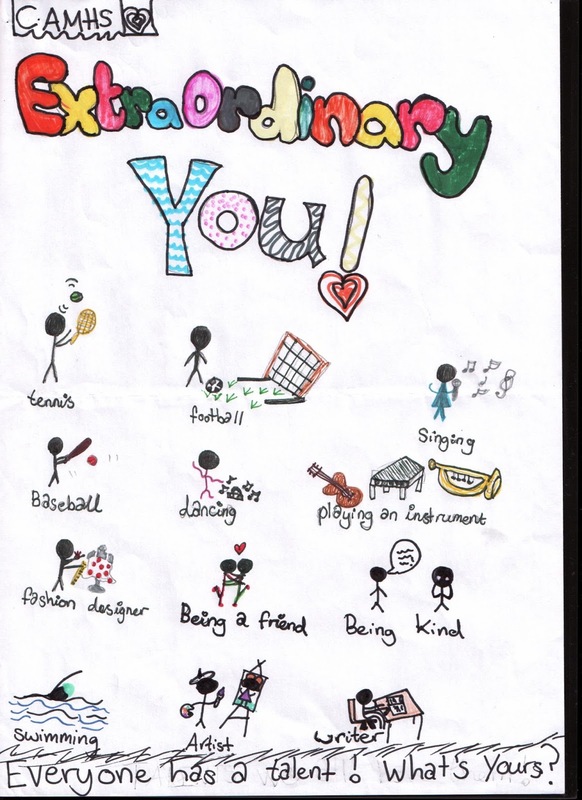 The theme this year was ‘Extraordinary You’ and aimed for young people to celebrate their various talents and how unique they are. This was accompanied by a competition to reflect the theme and allow students to showcase their talents in any creative way they wished. 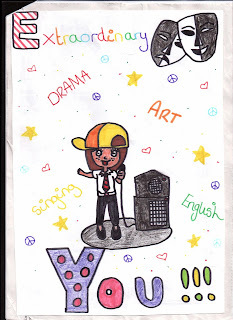 Our students certainly showed off their skills with a broad array of entries; from poems to short stories, posters to sculptures. The best 12 entries have been sent off to a countywide competition to be drawn over the Summer holidays….fingers crossed! 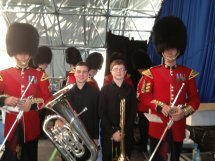 As a member of The National Youth Orchestra of Great Britain Year 10 student Chris Brewster was invited to perform at Buckingham Palace in the Gala Concerts as part of the Queens Coronation Festival. 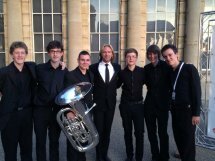 The concerts were on the 11th, 12th and 13th July and he performed alongside Katherine Jenkins, Russell Watson, Katie Melua, the English National Ballet plus many more. 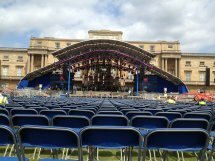 On the 11th July the Queen and members of the royal family were present and the concert was broadcast by the BBC on Saturday 13th July. 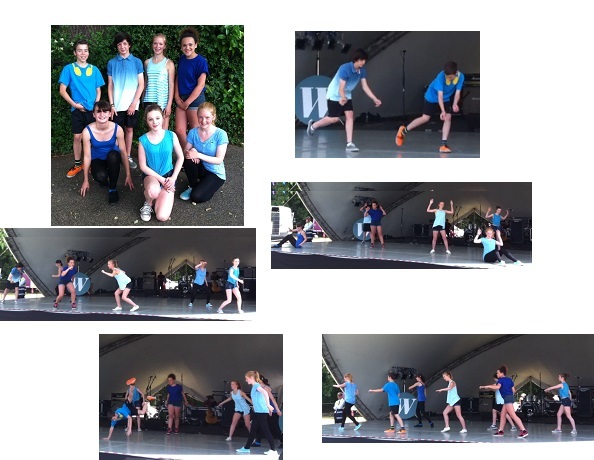 ‘Teamonit’, part of The Winston Churchill School’s G&T Dance Cohort, were invited to perform at Woking Borough Council’s annual ‘Party in the Park’ celebrations on Saturday 13th July. This was part of Dance Woking’s ‘Summer Shorts programme. The group were honoured to be able to perform on the main dance where they wowed the audience on a blazing hot day! You will be able to see them perform again at the school’s inaugural WinFest on Tuesday 16th July, ‘An Evening of Dance’, in the main hall’. Tickets cost £6.00 for adults & £4.00 for children & concessions. 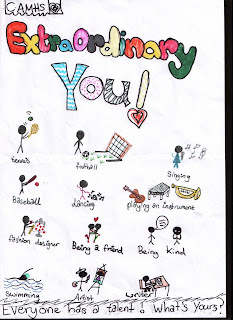 On Thursday the 27th June the whole of Year 7 took part in a range of sporting activities leading off from the London Olympics and carrying on that legacy. 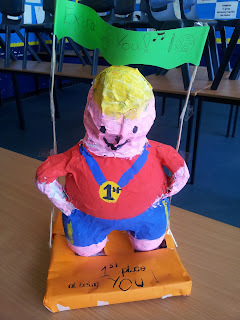 Organised by Mr Cotton, he had invited loads of different clubs to come in and showcase what sports were available to us. We had 25 minutes on each one and the volunteers from their clubs showed us how fun each sport can be. There was a range of activities there, such as, Judo, Tennis, Gymnastics, Karate, Hockey, Basketball, Badminton, Rowing and many more. At 10:50am we all converged to the sports hall and we were then told which six of the many sports we were doing in our form groups. 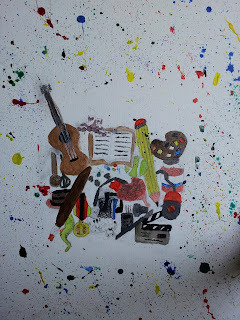 I’m sure everyone enjoyed each activity and what they did in it, to show them actually what is out there open to them. The sports had well set out plans and each one took our interest and made them fun. For instance, in Judo we got to kick each other with pads on, (which obviously appealed to the boys a lot), and in Tennis we got to play matches and had coaching at the same time, so we weren’t bored and sitting around. After two activities we went to have lunch and then were straight back to our last four sports. The day was very good and very fun, (especially as we got to miss three lessons), but we enjoyed playing the variety of sports. At the end we congratulated the volunteers on giving us very good and exciting lessons and took information off the clubs we were most interested in. In my opinion I preferred the tumble mat, because it was different and very fun. A big thank you to the volunteers who gave up their time to show us what was on offer, and also to Mr Cotton for setting this very fun and knowledgeable day up for us. Last Thursday (27th June) all of Year 7 took part in an Association Day to promote sports clubs in the area. These clubs had volunteers who came in to teach us how to do things like Karate, Tumbling, Judo, Rowing and many more. In tumbling we learnt how to do a flick. It was great fun, we also learnt badminton, tennis, taekwnondo and parkor. We all went round in our form groups doing these different sports. We would like to say a massive thank you to the clubs and coaches who came in to teach us these sports and we hope they had as nicer day as we all did. WinFest '13 starts on Monday 15th July, see Future Events for all the information about this exciting event!